The Indian Prime Minister refuses to point fingers at Russia and tells CNN that talks are the only way to resolve the problems in Ukraine. India stands for the peaceful resolution of the Ukrainian crisis, involving all parties, the country's Prime Minister Narendra Modi told CNN in an interview, broadcasted Sunday. “Whatever happened in Ukraine, people died, it's very saddening and not good for humanity. India's view is that efforts need to be made to sit together, talk and resolve the problems,” he said in the interview. Modi refused to join a chorus of Western leaders who blame Russia for the crisis in its neighbouring country. “There is a saying in India that the person who should throw a stone first is the person who has not committed any sins,” prime minister replied to the question about India's stance on the alleged role of Russia in the Ukrainian crisis. India has been one of the few major countries that has stood by Russia as the crisis unfolded in Ukraine. In March, the country’s then National Security Advisor Shiv Shankar Menon said Russia’s interests in Crimea were “legitimate.” India then abstained from voting in a United Nations General Assembly motion condemning Russia. New Delhi also refused to join West-imposed sanctions on Russia. Modi met Russian President Vladimir Putin on the sidelines of the BRICS summit in July in Brazil. “Even a child in India if asked to say who is India’s best friend will reply it is Russia because Russia has been with India in times of crisis,” Modi told Putin. The Russian President will visit India in December for the annual summit, where trade, defence, nuclear cooperation and multilateral cooperation is expected to top the agenda. Modi, whose interview with CNN was the first to a Western television channel since his assumption of office in May, will visit the United States next week. After attending the United Nations General Assembly meeting, he will hold talks with U.S. President Barack Obama in Washington. Indo-U.S. relations have nosedived in the last year, after it was revealed by former NSA contractor Edward Snowden that American was spying extensively on Indian Government officials. Diplomatic relations worsened further when an Indian diplomat in New York was arrested over a labour dispute. In 2005, Modi, then chief minister of India's state of Gujarat, was denied entrance to the United States over a religious riot in his state, which led to around 1,000 deaths. 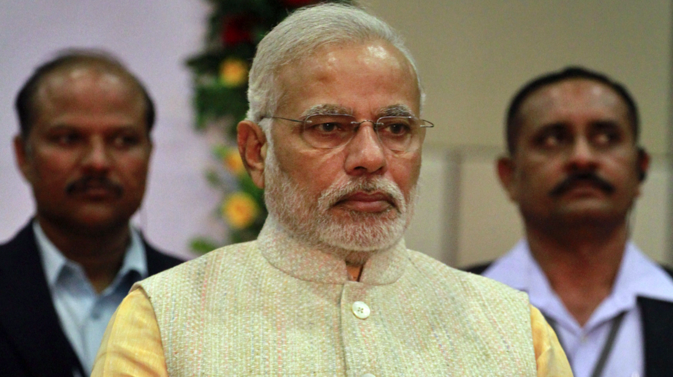 The ban stayed on until Modi assumed the office of prime minister this year.